PLEASE NOTE: We are currently able to ship to US addresses only. 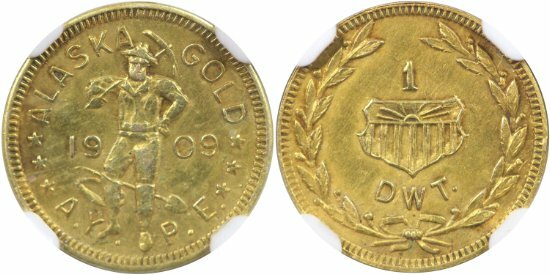 1909 Gold token struck in Seattle, Washington for the Alaska-Yukon-Pacific Exposition, and sold as part of Hart's Coins of the West collection. Shipping to the United States only.